Skoda's Hyundai Creta rival to be showcased at Auto Expo 2020! Skoda’s Hyundai Creta rival to be showcased at Auto Expo 2020! 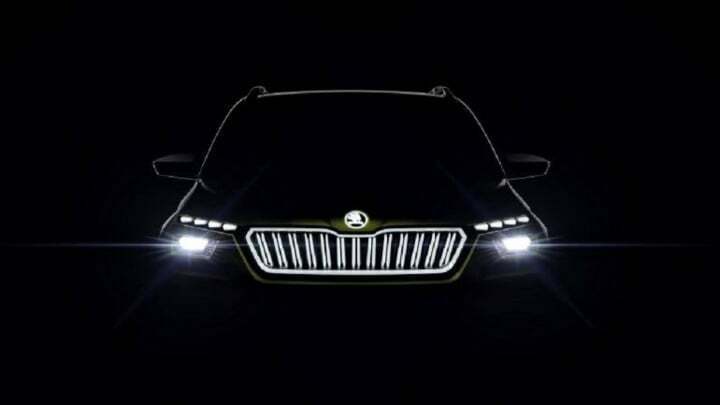 The new Skoda SUV which will rival the Hyundai Creta is confirmed to be showcased in its concept form at the 2020 Auto Expo. As part of Volkswagen Groups’s India 2.0 strategy, the first out of four new product launches planed for our country is going to be a compact SUV under its Skoda brand which will compete in the same segment as that of the Hyundai Creta. This new SUV will be underpinned by the German automaker’s MQB-A0-IN platform which will also spawn the other three products planned for out market. Skoda’s new SUV is not going to be exclusive to the Indian market and will have a European spec version as well. The interesting thing to note here is that the version that we are going to get will be longer than the Euro-spec version at 4.19 m in comparison to the later’s 4.1 m.
Also Read: Skoda’s new compact SUV for India likely to be called the Kosmiq! Skoda’s new SUV which will rival the Hyundai Creta is going to make its official debut in its concept iteration at the 2020 Auto Expo. The production version is going to reach Skoda showroom post-2020. In terms of its design, the Skoda’s new SUV will take its inspiration from the automaker’s Vision X Concept. It will have plenty of cabin space and feature a practical layout with flexible seating options. It is speculated that this new SUV will derive its power from a 1.5-litre, naturally aspirated petrol engine. This motor will have a power output of 130 BHP. Transmission options will include both manual as well as automatic transmission units. Whether this new SUV gets a diesel engine options remains to be seen. Volkswagen’s current 1.5-litre TDI motor will not have a BS-VI complaint derivative. While the automaker’s 2.0-litre oil-burner will be too big for an SUV of this size. Reports suggest that as an alternative to a diesel derivative, Skoda might consider launching a CNG variant for this vehicle. The MQB-A0-IN platform which the Hyundai Creta rivalling Skoda SUV is going to be based upon, will also spawn another compact SUV and two c-segment sedans for the German automaker in India. These include the Volkswagen T-Roc, next-generation Skoda Rapid and the Volkswagen Virtus which will act as the replacement for the Vento sedan.